Our email marketing is permission based. If you received a mailing from us, it is because you have registered, purchased from us or otherwise have an existing relationship with us. We respect your time and consideration by controlling the frequency of our mailings. 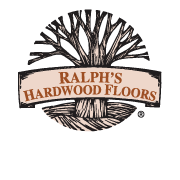 If, at any time, you would like to unsubscribe from receiving Ralph's Hardwood Flooring emails detailed unsubscribe instructions are included at the end of every email. You may also unsubscribe by sending an email to info@ralphshardwood.com with "unsubscribe" in the subject line. We will never share, sell, or rent individual personal information with anyone for their promotional use without your advance permission or unless ordered by a court of law. Information submitted to us is only available to employees or sub-contractors managing this information for purposes of contacting you or sending you emails based on your request for information and to contracted service providers for purposes of providing services relating to our communications with you.